Details of what Bluetooth Profiles each phone supports can be found on the Phone Bluetooth page. Note: BVRP only claims BT support for Widcomm in MPT, and most Bluetooth Guides on the Net are written based on Widcomm drivers. Bluesoliel drivers are also good, however the process to get Bluesoliel driver based Bluetooth devices working is different. My devices all use Widcomm drivers, so that I all I can address. *The Widcomm software is tied to hardware via device serial number. Due to this, you can only use the software that comes with your dongle or has been provided by the hardware manufacturer's web site. Example: I have two Ambicom BT2000C-USB dongles. Based on serial number range, the older uses Widcomm 1.3 drivers, the newer v3.0x drivers. While the older BT2000C-USB can actually use the 3.0.914 drivers, it is not licensed for use and will result in an error message and the BT Services will not start. A license HACK can be applied to make it work. Once applied, however, some of the newer services provided by the newer driver may not be available with the older hardware. However, the benifits of bug fixes/updates because of the newer driver are there. Also, lets say you have an Ambicom BT2000C-USB that came with Widcom 1.4.2.10, and you have a Belkin USB dongle that came with Widcom 1.4.2.10. You can NOT use the Belkin software with the Ambicom dongle or vice versa due to these licensing restrictions. Still trying to decide on a dongle? Some Threads of interest with discussions and dongle suggestions... Best Bluetooth Dongle?, BT Dongle For PC, which to buy?, Bluetooth USB Adaptor help... and E815 best/cheapest BT dongle. 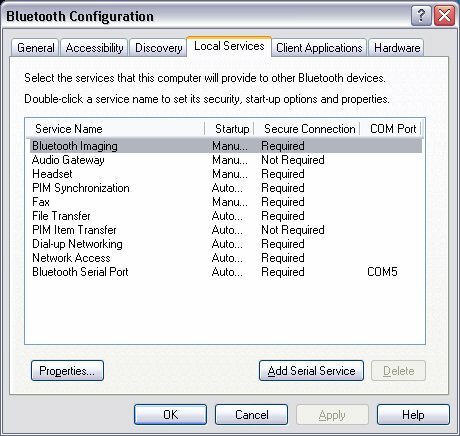 Information about configuring and using the BASIC Bluetooth support built into XP SP2 can be found in... MS KB Article ID : 883259 They support PAN, DUN, Bluetooth Printing, and "Send/Receive" File Transfers... It also talks about using the BT File Trasfer Wizard... (Too bad you have to start it from command line, if you want an ICON, you have to make it yourself!) NOTE: Receiving files TO THE PC requires the sending device support Object Push (aka OPP) which the Verizon V3C and E815 do NOT support! 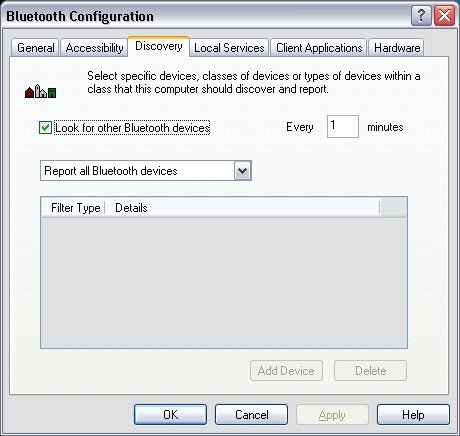 Symptom 1: You will have TWO Bluetooth icons in the system tray. One will be blue with red, other will be blue with white. If you click on the Blue/Red one you get an error "Your Bluetooth Software license does not include use with this Bluetooth Device." 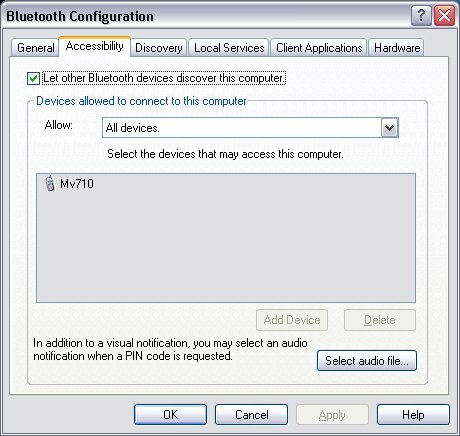 Symptom 2: Full services of your phone are not detected via the My Bluetooth Places Icon. Symptom 3: In ability to use the Phone's services that your PC detects.. i.e. BT OBEX File Transfers don't work. Another check... Go into Device Manager. 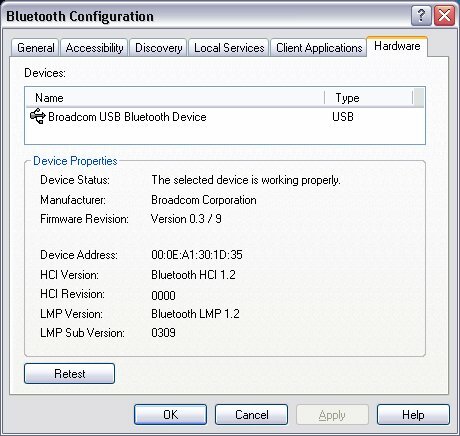 If you have Two things listed under Bluetooth devices, one being Microsoft Bluetooth Enumerator, then the XP SP2 drivers are being used, not the Widcomm. (note just plain "Bluetooth Enumerator" is ok to be listed, its only a problem if the Microsoft one is listed). See page 11 of the attached user's guide, where it says 2. Switching from Microsoft Driver to WIDCOMM -> WidcommV3_QIG.pdf. (the original widcomm guide with non-English languages removed to reduce its size. If you want the original COMPLETE All Language version click -> QIG.PDF) It is the Widcomm Quick Install guide that comes with their Version 3 BT stack that was shipped with my latest Ambicom BT2000C-USB dongle. An illustrated guide of how to switch back from the Windows XP SP2 drivers to the Widcomm drivers starts on page 11. If you are having problems getting MPT to use your phone and you have followed my MPT via Bluetooth guide, then try the Alternate way to establish a Bluetooth pairing between your PC and phone & use MPT NOTE: With MPT V4, the alt guide my no longer work. Here are some screen shots taken after installation, configuration, pairing my laptop and phone, configuring MPT via Bluetooth and creating a Dial-up networking connection icon for Express Network (1xRTT) via Bluetooth over the V710..
Click on the links below for the screen shots of the various tabs under Advanced Configuration of the Widcomm v3.00.914 Bluetooth software on my Laptop using a Broadcom chipset based dongle... The screens when using other Widcomm driver version, or other chipset (Cambridge Silicon Radio, aka CSR) based dongles will be similar with the exception of the DEVICE NAME. For the V3C... Bluetooth OBEX File Transfers ability on the V3C depends on the FIRMWARE on the phone. See either the V3C firmware page or the Phone Bluetooth page for more details!!! For the V3M... The Verizon V3M does not support Bluetooth OBEX File transfers, so you must seem edit the phone, then use MPT to transfer files. For the E815... While Verizon disabled the Bluetooth OBEX File Transfer support of the phone, you can re-enable this by doing the seem edit that also enables MultiMedia Studio feature of MPT to work. Bytes = 0000, Seem File = 2742, and Record =1, Offset 6A setting Bit 0 = 1 or Enabled. However, to work with the phone's calendar and contacts you WILL NEED MPT. NOTE: Keep in mind, this might change in future firmware releases from Verizon. For the V710... The Verizon V710 does not support Bluetooth OBEX File transfers, so you must seem edit the phone, then use MPT to transfer files, or work with Contacts/Calendar. Because puargs wrote a very good tutorial for PC-Phone OBEX & Bluetooth, there is no need for me to write one. Its written based on the Widcomm drivers. While targeted for the Moto V3C with .02 firmware from Verizon, it will also work on a "post 6A/0 Seem Edited" E815. Read the tutorial at -> http://www.puargs.net/?page_id=26 Discuss it -> I wrote a V3c RAZR PC-Phone OBEX & Bluetooth tutorial Note: if you do NOT see OBEX File transfers for your device in My Bluetooth Places, be sure to read the information above, and the discussion puargus' tutorial, as the MS BT drivers might be partially installed. 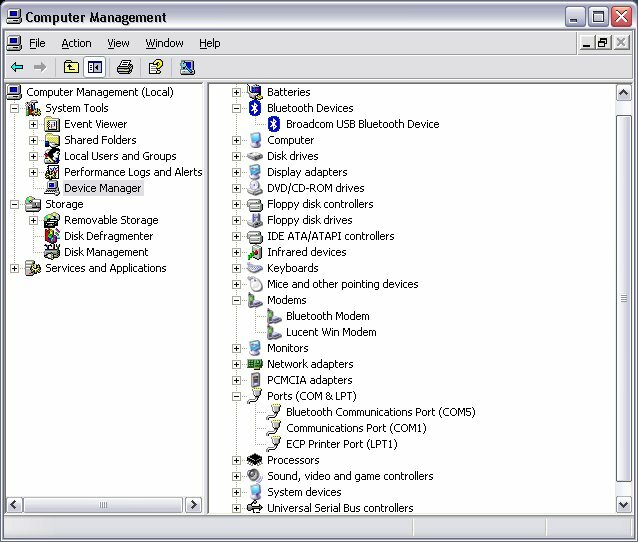 If using the BASIC Bluetooth Support for Windows XP SP2 with your dongle, you can also do OBEX File Transfers, but the process is slightly different AND LIMITED. 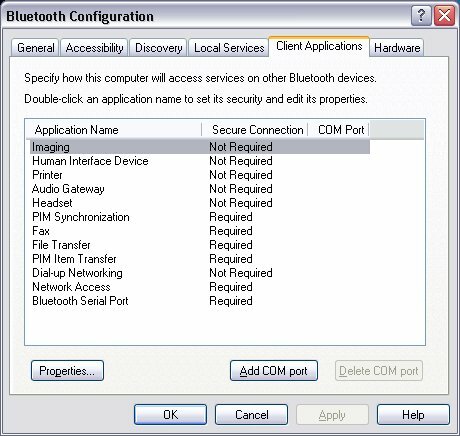 Please consult MS KB Article ID : 883259 titled "How to install and configure Bluetooth devices in Windows XP Service Pack 2" The last section (Transferring a File) discusses using the Bluetooth File Transfer Wizard to send/receive files. NOTE: The Moto Phones from Verizon do not support Object Push (aka OPP) so you will not be able to "Send" files from the phone to the PC, therefore you can NOT use the XP SP2 bluetooth support to get files FROM THE PHONE TO THE PC.